Pilot testing provides information to the Centre’s clients to enhance their understanding of their source water characteristics, the performance of their treatment and those of alternative treatment options. The Technology Demonstration Facility, located at the WCWC, plays a dual role in supporting clients for pilot testing and hands-on training. 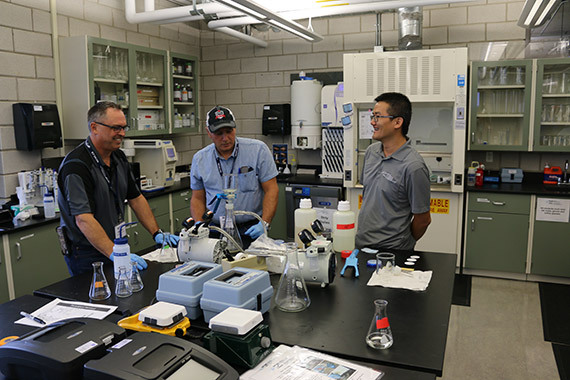 The Centre has years of pilot testing experience in areas such as control of natural organic matter and disinfection by-products, iron and manganese, trace contaminants, blue-green algal toxins, coagulant metal residuals, and coagulation optimization.